We’re always on the move and always looking for different snacks that are easy to eat. It’s so hard to find healthier options, today, so that’s why we at Famadillo gathered seven of our favorite on-the-go snacks that will fill you up and give you (and your kids) the energy needed to complete and conquer the day. Some are perfect by themselves and some may need a little pairing, but the choices below will satisfy even the most vanilla palettes. Made with just three simple ingredients: thick-cut, kettle-cooked potatoes, sunflower oil, and a touch of sea salt. These kettle chips come in a dozen flavors including, Aged Cheddar Horseradish, All Dressed Up, Black Truffle, Honey BBQ, Mequite BBQ, New York Spicy Dill Pickle, Ninja Ginger, Original Sea Salt, Pink Himalayan Salt and Vinegar, Rosemary and Olive Oil, Salt and Cracked Pepper, Sea Salt and Vinegar, Sour Cream and Onion, Sweet Maui Onion and Zesty Jalapeno. These Deep River Snacks come from all natural and organic ingredients. Honchos Nachos are crafted with whole grain corn and real cheddar cheese, real herbs and a mind-blowing combination spices to deliver the intense, crave-worthy taste you love without the artificial ingredients you don’t. These nacho cheese tortilla chips are USDA Certified Organic, certified gluten-free and are non-GMO. Find them here. This family-owned business makes amazing peanut butters that can be eaten with a spoon! These handmade and fresh peanut butters come in a dozen different flavors using peanuts grown in the U.S. that create a honey roasted peanut butter base. There are a no added preservatives in the list of flavors that include; java, cranberry, toffee, coco-nutty, plain, crunchy, blueberry, s’mores, pretzel and salted caramel. Find out how to get them here. Laughing Giraffe is another family-owned business that creates dozens of different easy-to-eat snacks. 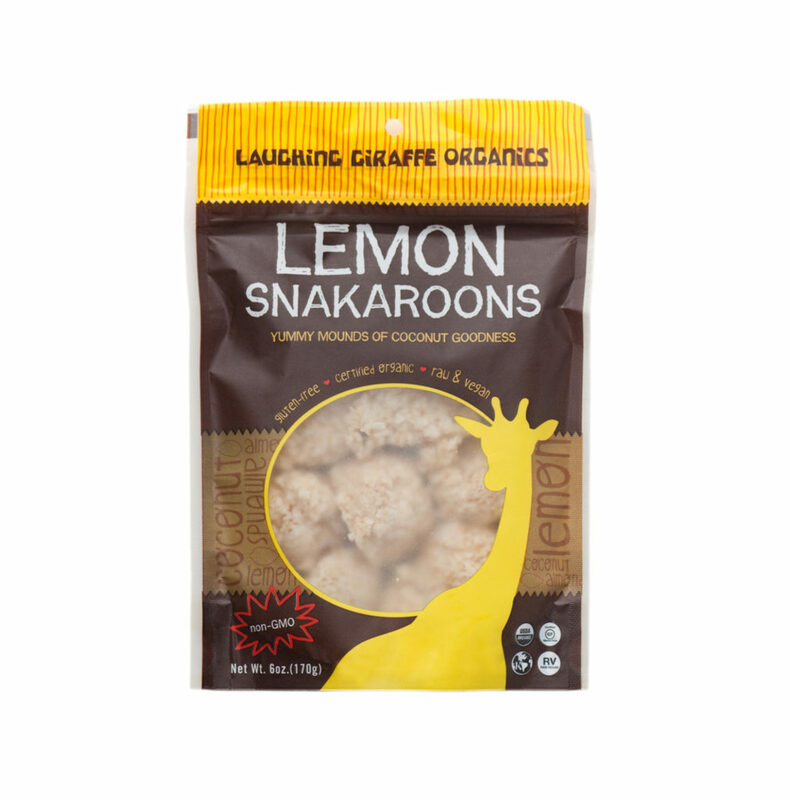 One of our favorites is the Snakaroons, tiny bite sized macaroons that are completely organic, gluten-free and vegan. They come in a few flavors including; banana, vanilla, chocolate, matcha and caramel. They start at $6.99 and can be found here. 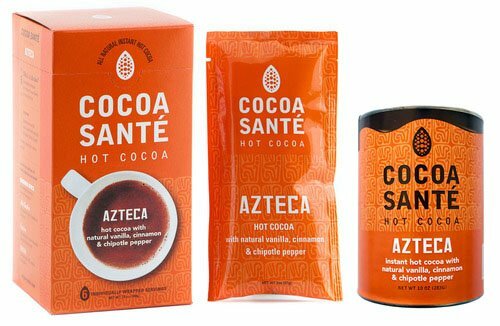 Cocoa Sante makes great hot chocolate in a variety of flavors. The company prides itself on sourcing high quality organic cocoa from cooperative farms in the Dominican Republic and South America. The suppliers use high quality cocoa and are owned and operated by small-scale farmers whose profits aid area educational projects and infrastructure. Their flavors include Azteca, Nor’Easter, Kashmir Spice, Parisien and Mocha. 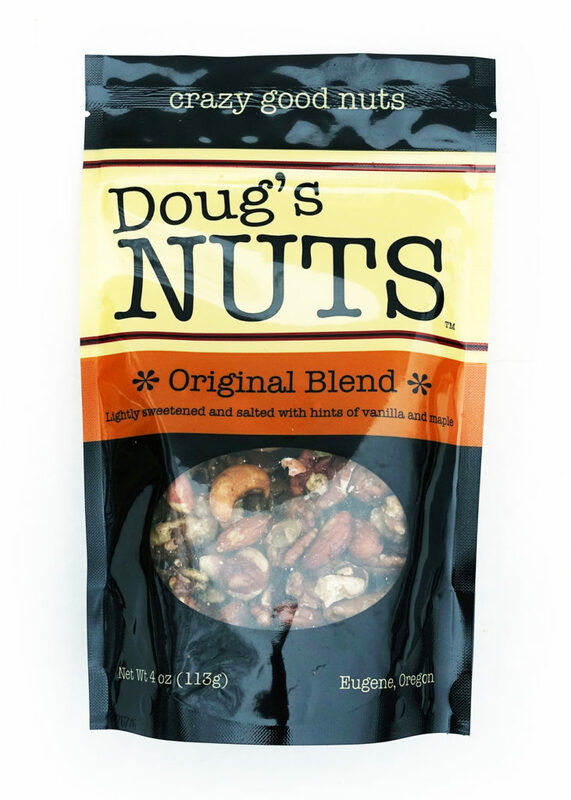 Coming in a variety of three, Doug’s Nuts aren’t your typical nut. The original blend features almonds, peanuts, hazelnuts, walnuts, cashews, pumpkin seeds and pecans. They’re roasted and coated in a salty-sweet glaze of organic sugarcane, blackberry honey, vanilla, sea salt and oatmeal. Along with the original, you can also try the Habanero Honey. This blend features almonds, cashews, hazelnuts, Spanish peanuts, pumpkin seeds and walnuts all gently sweetened with tangy blackberry honey, organic sugarcane and a gluten-free ale made by our friends at Omission Brewing in Portland. Topping the whole thing off is a fiery dusting of habanero, chipotle and cinnamon guaranteed to set your taste buds a-tapping! You’ll want to make sure you’ve got a frosty beverage close at hand when you dig into Habanero Honey for the first time. But if you’re caving sweet, go for the Coconut Beach Crunch, which features some salty almonds, toasted coconut chips and dark chocolate. 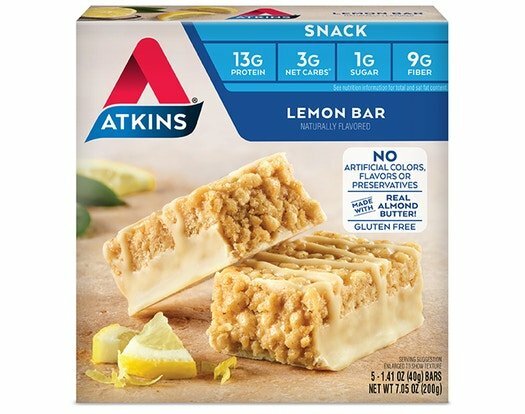 Atkins new snack bar delivers a light and crispy taste with a delicious natural lemon flavor. This nutritious blend of simple gluten free ingredients and real almond butter is packed with protein and fiber to satisfy your hunger and is free from artificial flavors, colors and preservatives! It features 13 grams of protein, 1 gram of sugar, 9 grams of fiber and 160 calories. Perfect for anyone on the go. They come in a variety of flavors and will definitely fill you up. Perfect for a post-work snack or before a game, the Ready Snax will be there for you and are a super healthy option.